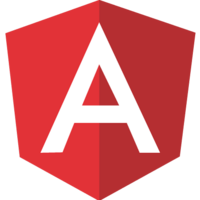 Angular is basically a collection of Components brought together within modules. The many tools, such as the Angular CLI, allow you to easily create Components. The key to understanding Angular is understanding how Components interact with each other through Services, Inputs, and Outputs. It's also essential to understand the basics of styling components and how CSS is shared so you can make your application look the way you want. This course will step us through creating a simple Angular application starting with the Angular CLI. We will build out a few components that will handle events through Angular Event handlers. The course will then finish up with styling the application.